On Thursday morning, President Donald Trump tweeted  that he did not believe the official death toll from Hurricanes Irma and Maria in Puerto Rico last year, claiming  that Democrats inflated the number to make him look “as bad as possible.” An independent study commissioned by the Puerto Rican government estimated  that nearly 3,000 people died as a result of the storms, but Trump rejected this figure, claiming the high number was just "bad politics." The president’s comments come as multiple states are readying to face another  dangerous (and “tremendously wet” ) storm, and two days after Puerto Rico Gov. 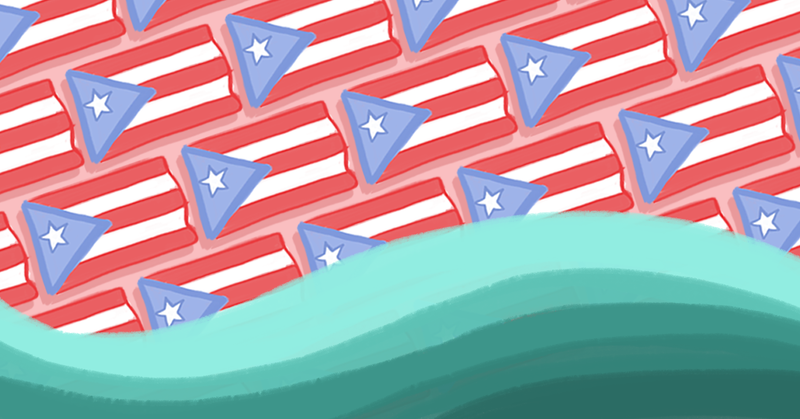 Ricardo Rosselló forcefully rejected  the president’s earlier assertion  that the federal government’s response to Hurricane Maria was “incredibly successful.” Instead of focusing on incoming Hurricane Florence, which has the potential to cause massive damage  and threaten lives  on the East Coast, the president is trying to gaslight the public, asserting with absolutely no evidence that Democrats inflated the death toll in Puerto Rico. This isn’t  the  first  time  the president has taken to Twitter to lie to the American public. NRATV’s Grant Stinchfield : “I’m there with Donald Trump -- I call bogus on the 3,000 deaths." Fox News’ Cody Derespina  attempted to equivocate over the “official” death toll. Using deaths that resulted from 9/11 as an analogy, he suggested that many of the hurricane deaths shouldn’t be considered in the “official tally” because many of them occurred in the months afterward. In addition, Fox News ignored Trump's denialism for several hours, at which point the network's reporter downplayed  it as Trump merely continuing his "feud with Puerto Rican officials."